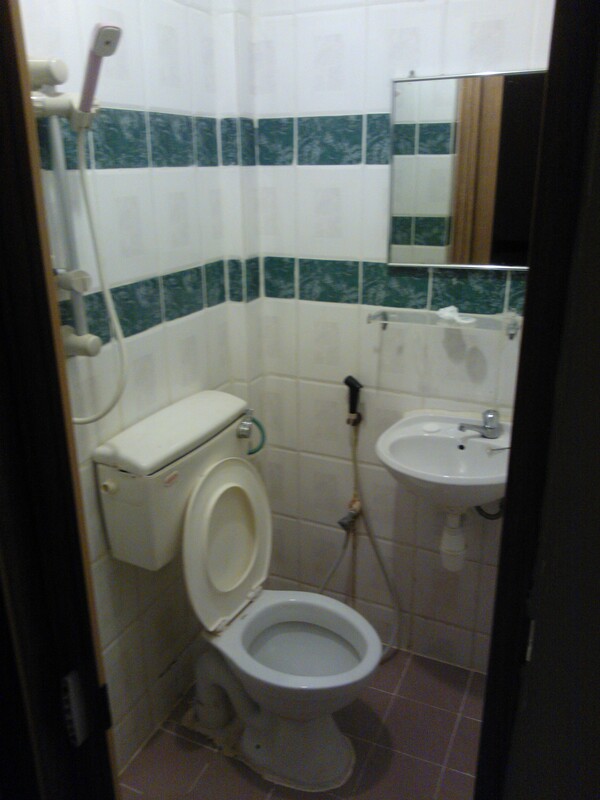 For those of you thinking I didn’t enjoy Kuala Lumpur, please don’t worry as I can assure you I did. 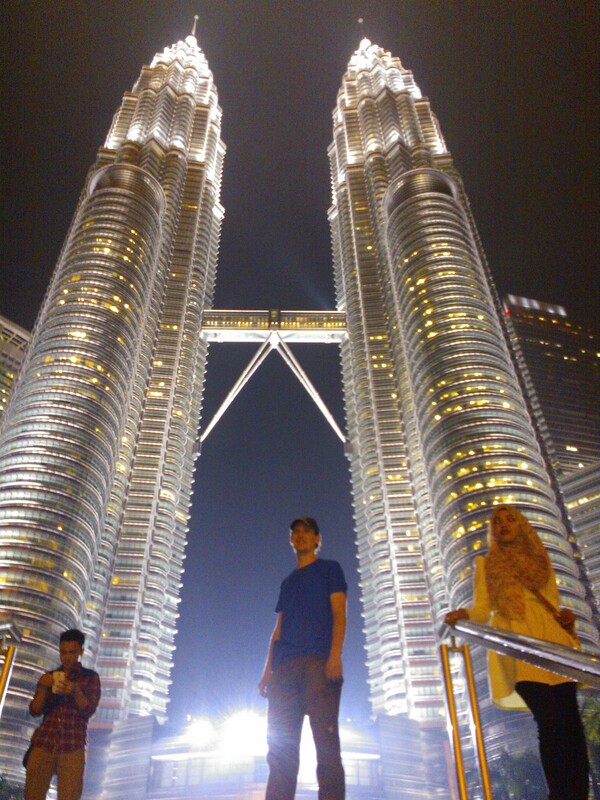 It might not have been all it could have, but believe me when I say that KL is an amazing city to get lost in. You can believe me because getting lost here is also another of those unplanned activities I managed to fit into my three days. I’ve been lucky enough to travel to many places which now includes four continents, but the Malaysian capital has to be the most unique. For a start it was the most foreign, but in more ways than you’d think; as much as I was one of the few white people surrounded by an Asian population, I use the term Asian in a general sense rather than Malaysian, as it was populated by those from China and India just as much as Malaysia itself. It’s one thing to have read this in my guide-book before I arrived, but quite another to see such an array of ethnicities living together as one community, with no tensions or problems (at least that I could see) arising from this. There’s sitting down and people watching, and then there’s peoples watching. 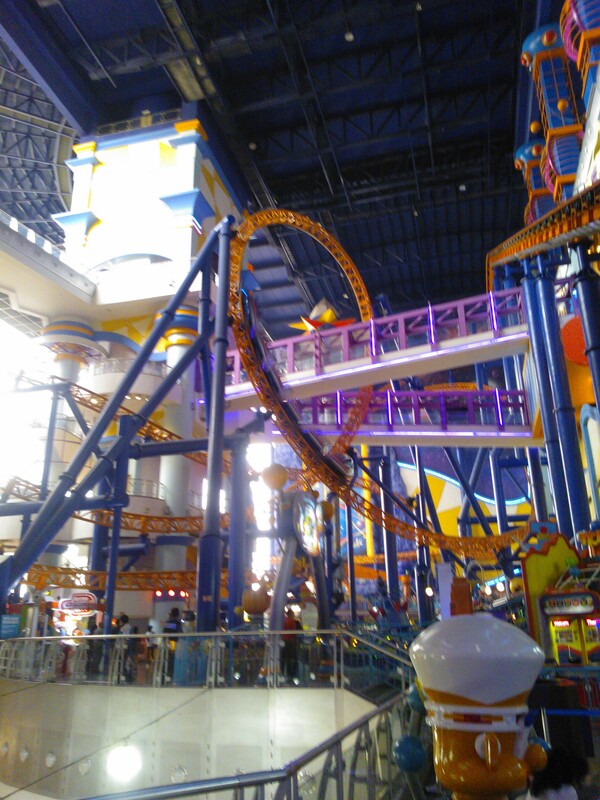 As much as I never got to see the KL tower with its more luxurious surroundings, luckily Kuala Lumpur has plenty to do indoors, such as the roller coaster I mentioned previously. I figured that just because I’m stuck indoors, it doesn’t have to be boring and this time I would actually ride it, but technical difficulties on the monorail line soon meant I had another change of plan. Luckily it had stopped raining by now (although I can only assume it was the rain which had caused the difficulties in the first place), and in an effort to explore some of the city on foot rather than public transport, set off back to my hotel. Figuring out which side of the road stations are situated is obviously not my strong point, as it was here I set off in the wrong direction. I had my suspicions about this not long after, but it wasn’t clarified until a passing stranger pointed out that to get to Chinatown I had to take the foot bridge I would find just past the monorail station I had come from. One attraction I did get to see was the Petrosains (pronounced Pertro-science) museum, which is dedicated to various sources of energy. Perhaps unsurprisingly for an attraction owned by Petronas there was a heavy influence on oil, and it was highly fascinating. The exhibits are hugely hands on and interactive, but only once you get past the hordes of families and school children playing with them. Not that I minded really as it was pretty much geared to their age group, and I can only imagine I would have been the same if I had a classroom this exciting. Plus it had a singing Tyrannosaur, which is always a bonus. Suddenly it was all worthwhile. By far the highlight of my short stay came on my last evening however, when I headed back to the Petronas Towers, fully confident in how to find them, only this time in the darkness of the evening when they were illuminated by as many flashes from cameras as actual lights in the building. This time I also manged to find a kind German tourist who, by crouching at the bottom of the stairs I stood atop, at a nice distance away, managed to get a photo I could only have dreamt of during my daylight attempt. So happy was I at the fashion in which my too short a time in this fantastic city was ending, I headed straight to the food court for an authentic Malaysian meal. Upon discovering the still pink pieces of chicken and finding what I could only identify as a spinal column that put a similar experience in Tijuana to shame, I soon headed straight to McDonalds, but you can’t have everything. 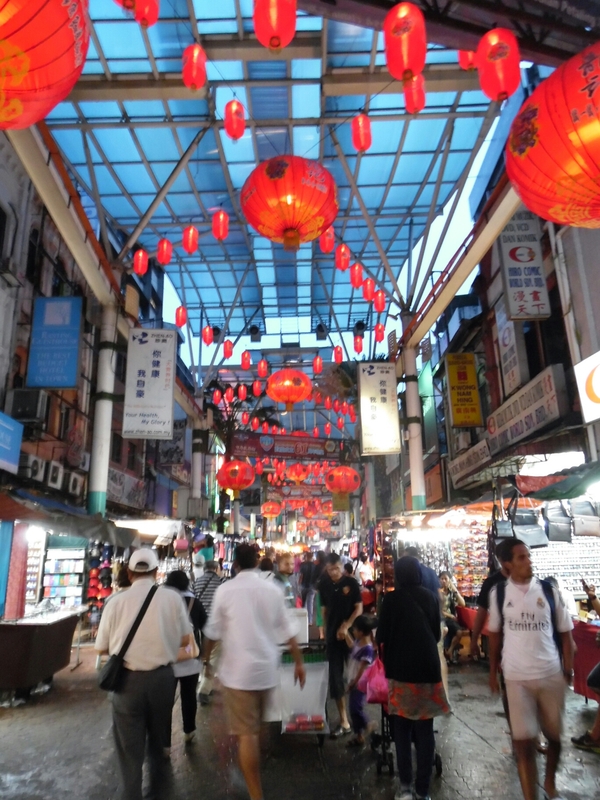 By the time I left Kuala Lumpur I was more than satisfied to add it to the growing list of cities in which I have gone in completely the wrong direction (others include Bremen and New Orleans), even if I hadn’t been able to see as many of the sights and attractions as I’d hoped. But when you’re somewhere as exotic as Kuala Lumpur, there’s so much more to savour than mere tourist hotspots. After my much sought after snooze I awoke ready to properly explore some more, something which Kuala Lumpur is perfect for. Home to the Petronas Towers, the city’s most famous landmark(s) and former tallest buildings in the world, it may be surprising to know that they can actually be harder to find than you my realise. Particularly when you are right up close, but most particularly if you’re me. In my defence, five hours wasn’t enough sleep and just because I was no longer paranoid it doesn’t mean I wasn’t still suffering from jet lag. Scanning the horizon for two skyscrapers, regardless of how recognisable they might be, is also rather futile when you’re essentially inside of them. If only I’d turned left…. 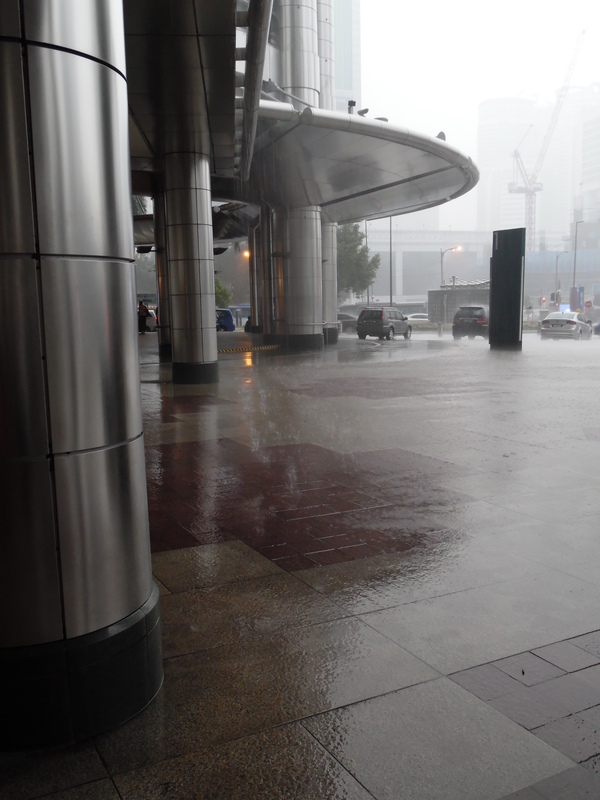 At the base of the towers is the Suria mall, which I arrived at from the KLCC underground station. The station which according to my guidebook was right across the road from the towers (which technically it is), although the main passageway leads under the road and straight into the mall. This lead me to emerge from the mall out of one of the two skyscrapers I was looking for. I even managed to walk round to the back entrance of the mall completely nonethewiser, my lack of sunglasses meaning I also couldn’t look straight up on those rare occasions where there wasn’t a canopy obscuring my view. Happy I had at least a picture of me in front of the towers though, I set about my next task, getting inside them. Although I had heard from several sources that heading up the towers wasn’t necessarily worth it as it involved queuing up ridiculously early in the morning (my de facto bedtime) to only go to the walkway halfway up, I am a sucker for a gift shop. A gift shop which I was close to thinking consisted entirely of the single market trolley in the mall’s entrance. My main problem comes with using and confusing different sources, although the lack of signage was also a major factor. Browsing online I was told that the ticket office was on the concourse level (a floor sandwiched between ground and lower ground), which I was searching from one end of the mall to the other. What I had failed to realise this time was that the corridor to the towers themselves was on the ground floor, and then you have to take the staircase on that side of the divide down to the office. Eventually I not only discovered this, but my prediction of the office and gift shop being side by side was accurate, even if it was the only thing I seemed to get right. 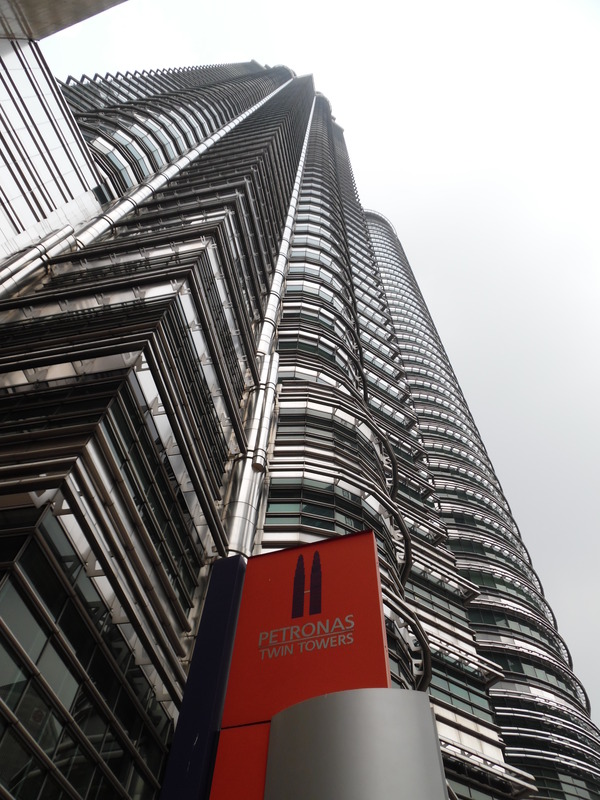 Hardly my finest hour, but then if you were looking for the Petronas towers, you wouldn’t think you’d have to walk under a banner for the Philharmonic Orchestra either. Quest complete however, I set out to walk to my next destination, the KL tower, which as the highest point open to the public and complete with revolving restaurant, I had heard was indeed worth going up. It is also surrounded by the Bukit Nanas, a park of a more tropical rainforest nature, so I guess I shouldn’t have been surprised when it started raining. And then there was an awful lot of thunder, and yet more rain. In fact it was so stormy, that the wind was blowing the banners were inside the mall, which were attached to the dome roof between the towers, only (relatively speaking) about six stories high. Luckily as you’ll remember, you can get from the mall to the underground without going outside, and getting therefore without getting wet. Although I ultimately didn’t get to see the Kuala Lumpur Tower, or the Kuala Lumpur skyline from 276m above ground, the thing with such a major Asian capital is that you also have an amazing view from the ground.